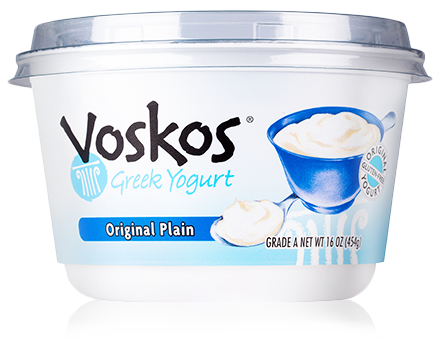 These “power” muffins have a generous amount of VOSKOS® Greek Yogurt, which makes them high in protein (6 grams per muffin!) and incredibly moist. That means you don’t have to use as much oil to achieve a buttery muffin consistency. Plus with the fiber from the whole wheat flour and the high protein, having one these tasty muffins is all you need for an afternoon pick-me-up. Preheat oven to 350°F. 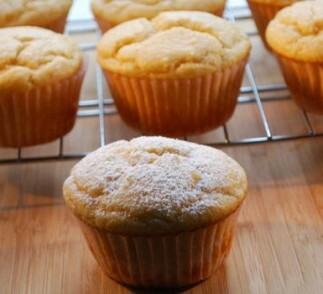 Line a 12-cup muffin tin with liners and spray with nonstick spray. Add yogurt, eggs, oil, honey and vanilla to food processor bowl. Pulse until combined. Add flour, baking powder and sugar. Pulse just until combined, scraping the sides once. Transfer batter to prepared pan. Bake about 20 minutes, until a toothpick comes out clean. Cool 5 minutes in pan on a wire rack, then remove from pan and cool to room temperature. Dust with powdered sugar before serving.